The Chamber’s Allegan Dollar program has been around for more than 15 years and are accepted at a variety of Allegan businesses. The program was set up years ago to promote local shopping and spending. 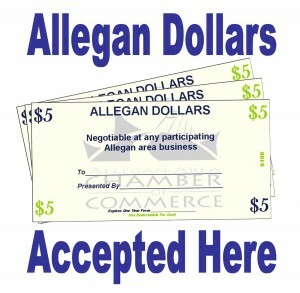 The dollars work the same as cash and can be purchased at the Allegan Chamber office. The dollars make great wedding, birthday, or Christmas gifts, are a great way to say ‘Thank You’ for referrals, or even bonuses. 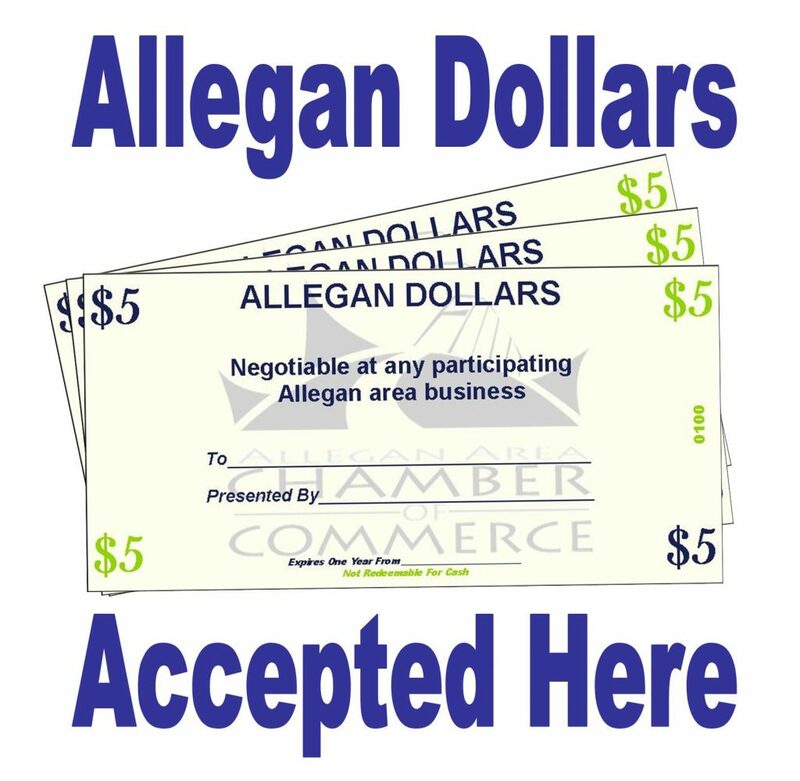 If you want more information about purchasing or accepting Allegan Dollars please contact the chamber office at 269.673.2479. Allegan Dollars are accepted at many other Allegan area restaurants and retailers. Just ask!